Two unmanned military surveillance aircraft are set to launch over Maryland this fall, raising concerns over privacy in the area. Two giant blimps, which will be used for surveillance purposes, are set to deploy over Maryland this fall. The anticipated launch is sparking concerns over privacy in the area. 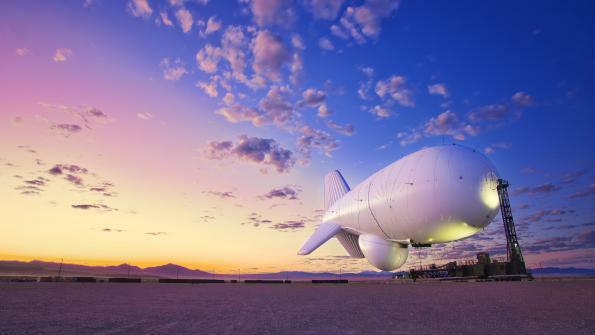 The new aerostats, the official term used for lighter-than-air craft tethered to the ground, will be launched on Army-owned land near Aberdeen Proving Ground, 45 miles northeast of Washington D.C., according to The Washington Post. The unmanned vessels will cast a radar net from Raleigh, N.C., to Boston out to Lake Erie, with the goal of detecting cruise missiles or enemy aircraft. The test project will span three years and is set to begin in October, according to Fox News. The aerostats’ radar systems will be able to track the movement of planes from about 340 miles and ground vehicles from 140 miles. The program will cost an estimated $2.7 billion. Aerostats are currently used by the military in Iraq and Afghanistan to track the movements of suspected insurgents and U.S. soldiers, according to The Washington Post. But last year, defense contractor Raytheon demonstrated that aerostats equipped with high-altitude surveillance systems could be of use for domestic law enforcement, being able to spot vehicles and even individuals from many miles away. The Army says it has “no current plans” to mount such sensors to Maryland’s aerostats, or to share the information gathered with federal, state or local law enforcement, according to The Washington Post; however, Army officials declined to rule out that possibility. The use of similar unmanned aircraft for surveillance purposes has set off debate across the country. Global online news source RT reports a bill being discussed by lawmakers in California would keep law enforcement agencies from using drones to conduct warrantless surveillance in the state. Minnesota lawmakers are examining similar legislation, according to The Star Tribune. To learn more about the aircraft, watch the video below.